Is Tommy John surgery becoming an epidemic? In 1974, pitcher Tommy John was having a phenomenal season helping the Dodgers win their first National League pennant in eight years. Before he was able to finish the season, he tore his ulnar collateral ligament (UCL), now referred to as the ‘Tommy John’ ligament. Thanks to the innovative work of the late Dr. Frank Jobe who reconstructed this ligament on the inside of his elbow, Tommy John was able to return to pitching at the highest level just two seasons later. Following his elbow repair, Tommy John astoundingly won another 164 games over the next 15 years following his surgery. Just since the end of the 2013 MLB season, there have been at least twenty Major League pitchers who have had Tommy John surgery. The first month of the 2014 season has already generated 14. Not only is this injury affecting the majors, but every year more and more youth and high school players are suffering UCL injuries and requiring extensive rehabilitation to return to throwing. It’s time to ask: what is causing these injuries in youth throwers and how do we prevent them? Personally, I think that there are two major factors that lead to elbow injuries in young baseball players. First is the volume that young pitchers throw all throughout the year and secondly is the mechanics with which they are throwing. Every year, more throwing academies and field houses open up in cold weather climates, allowing pitchers to throw year round. When the cold Chicago winter sets in, for example, players no longer have to stop throwing and play another sport, they simply move inside and continue to pitch. Many athletes now pitch on two or possibly three different teams at one time. This phenomenon results in young pitchers increasing their weekly pitch counts above the acceptable limits. There are plenty of research studies which show the negative effects of overuse caused by pitching above recommended counts and the harmful effects of pitching through fatigue. Many players hear that every pitch has enough force to tear their Tommy John ligament and that is true. If it wasn’t for the muscles, soft tissues and bones around the elbow joint, this fragile ligament would tear with just one pitch. When a player experiences mechanical flaws in the pitching motion, these extreme forces placed on the ‘at risk’ elbow increase substantially. Therefore, ensuring that pitchers throw with proper mechanics at a young age is essential in their development and in reducing injury risk. Proper mechanics allow pitchers to optimize the kinetic chain, allows their legs and core to do more work and reduces the demands on the shoulder and elbow tissues. As a sports medicine rehabilitation specialist focusing on the overhead athlete, I suggest a slow motion video analysis for any youth pitcher who decides to pitch competitively. Such an analysis performed by a sports biomechanical expert allows for an all encompassing view of the throwing mechanics with an eye towards injury prevention thereby ensuring that young pitchers are not putting themselves in greater danger for severe injuries. The professionals at Accelerated Rehabilitation Centers are dedicated to preventing these injuries with our Overhead Throwing Program Video Analysis. Over the past year, Accelerated experts have analyzed the mechanics of over 400 youth pitchers in the Chicagoland area, identifying flaws, and when needed, provided corrective drills and instruction to coaches, parents and others on the medical team in order to help these young throwers break bad habits and reduce their risk of long-term severe injuries. As sports medicine specialists, our goal is to identify those young pitchers that are at risk and prevent these injuries before they occur. Tommy John surgery is a highly involved invasive procedure that requires extensive rehabilitation. 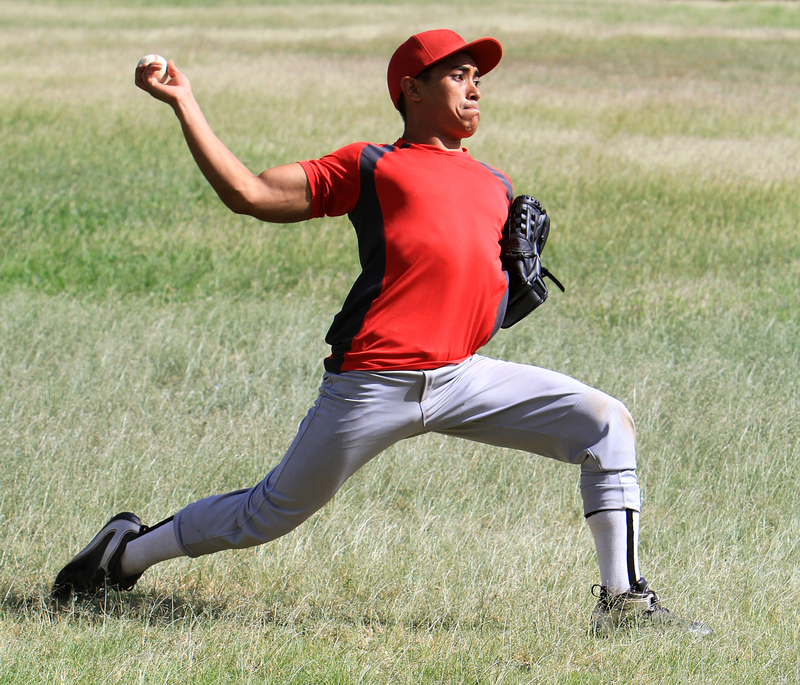 In fact, the recovery after surgery takes least 12 months before one can resume competitive pitching. In order to reduce the risk of severe injuries and surgery, we advocate taking as many preventive measures as possible so that pitching is safe and fun for children of all ages and skill levels. Scheduling a video analysis to analyze your biomechanics is easier than you may think. Simply call to schedule it at a center convenient to you: 312.523.4064. A trained overhead throwing specialist will help keep your player safe and on the mound. This entry was posted in Articles, Baseball, Elbow, Injury, Prevention, Sports, Therapy, Treatment, Youth by sportsmedicineweekly. Bookmark the permalink.